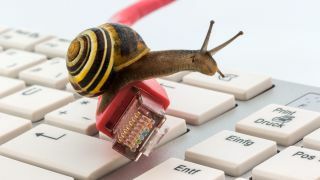 In January we lamented how slow internet speeds were in Australia, with the hope that with NBN service rolling out to more premises each month, things would improve. That wasn’t the case by June this year when we still ranked behind Kenya in average ‘net speeds. That was according to Akamai’s State of the Internet Report. It’s a month later and the World Economic Forum’s Network Readiness Index has corroborated Akamai’s findings. The Network Readiness Index was created after surveying 139 countries and, according to the report, Australia – which ranked 18 in 2014 and managed to jumped up two places in 2015 – fell back to 18th spot in digital readiness in 2016. The affordability of fixed broadband and consistently slow connectivity are the reasons cited for Australia’s slip in global rankings, which now sits behind that of our neighbours across the Tasman Sea. Globally, Singapore took top spot, followed by Finland and Sweden. Denmark, Switzerland, Luxembourg and Japan all ranked within the top 10. Looking forward to getting the NBN at your place? Find out more about the technology you could get hooked up to and here’s how to figure out which speed tier suits you best.